When drawing Spider-Man, I like to refer to a small toy that my roommate got for me in Japan. 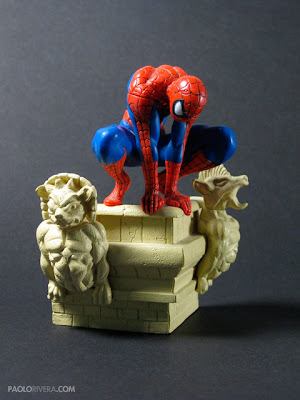 The multi-piece mini-statue came in a clear plastic egg and is surprisingly well sculpted. 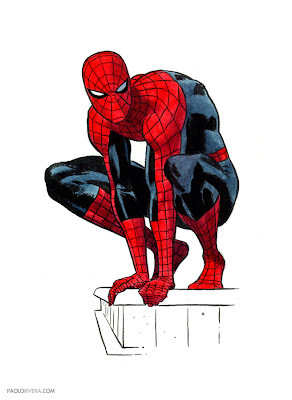 It allows me to visualize Spidey in a number of poses, being especially helpful for reflections. The above study is pretty much a direct copy. 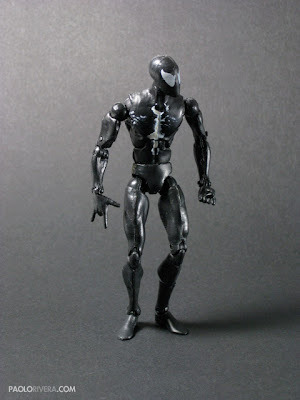 Also helpful is yet another toy, this one being fully articulated. I use it primarily for reflections and leg anatomy, which used to give me a lot of trouble. I mainlyuse photos in my work (I'm a "realistic drawer"), but recently I'm tryingto follow your suggestion to use toys too. 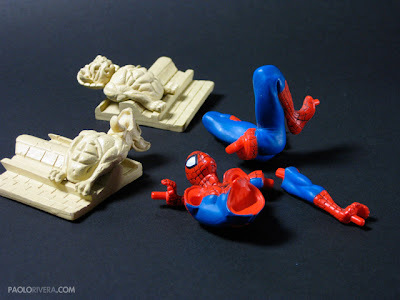 Well, you have to be careful with toys: some are sculpted well, but most are not. I often use a combination of things when coming up with a pose. Toys, I've found, are usually best for lighting.